Depending on where you live, you may still be hanging onto summer or you may be inviting winter to your doorstep. Either way, the winter season is a perfect time to time to change out those spruces and shrubs on your patio and other outdoor living areas. Boxwood Hedge – This is a favorite amongst designers as a topiary. It requires full sunlight, so it grows best in open patio areas rather than a covered outdoor area. 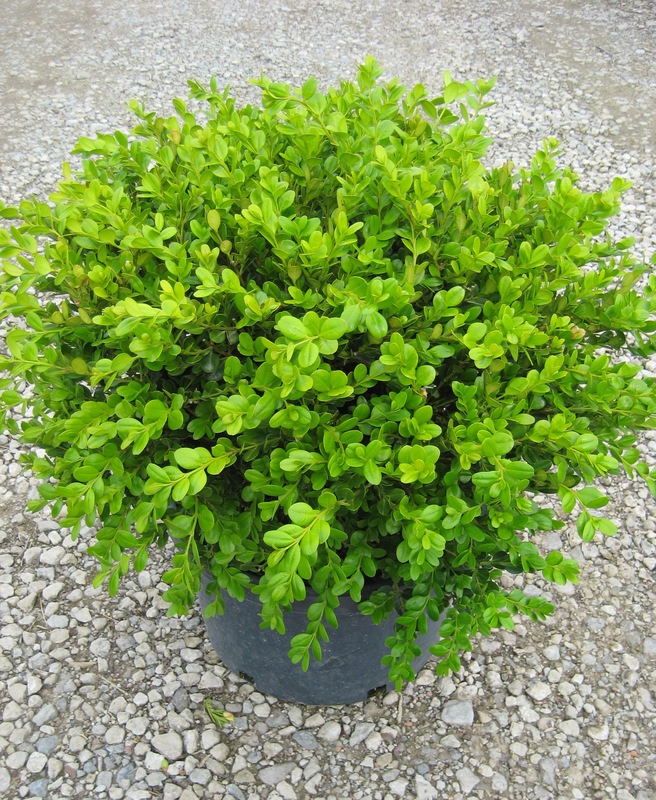 English Boxwood – Great for container gardening, the English boxwood is a smaller evergreen shrub known for its yellow-green leaf texture and slow growth. Fully grown, the English boxwood can reach heights of two feet, requires watering twice a week and lots of sun. 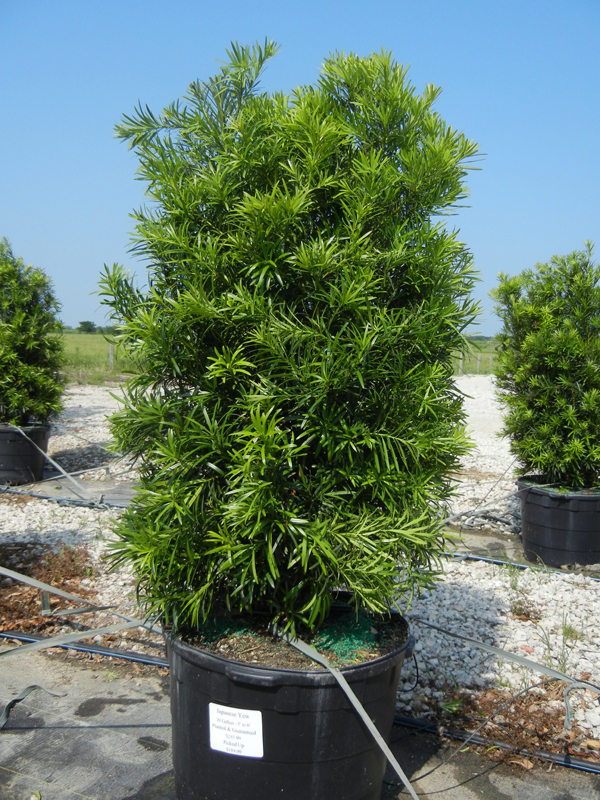 Japanese Yew – This plant grows exceptionally well in Northern American and Eastern Asian climates. It is drought tolerant, and sustains itself in partial and full light environments. It is most popular for ground cover, and manages well in severe winter conditions. If grown as a tree, Japanese Yews can reach heights as tall as 50 feet. 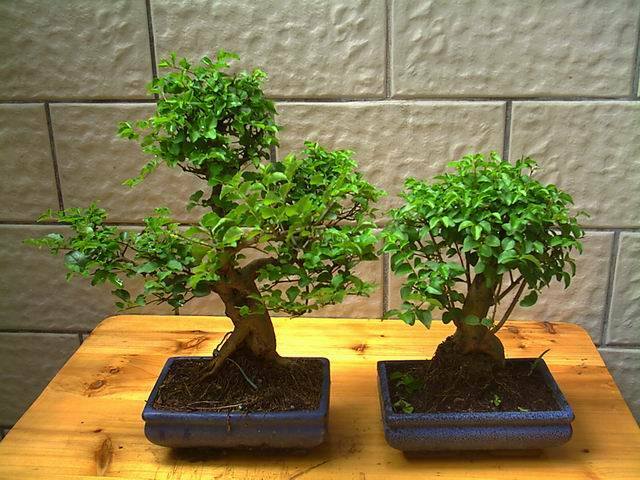 Ligustrum – An evergreen native to Japan, the ligustrum is a popular ornamental that fits in a wide variety of environments such as California, Texas, and the southeastern region of the United States. Ligustrums thrive in all kinds of soil, like sunlight and enjoy partial shade. 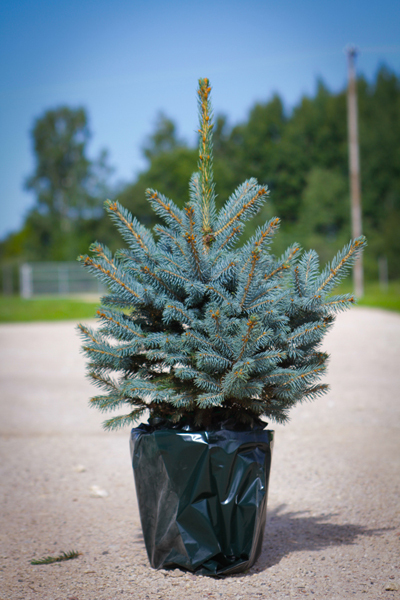 Potted Blue Spruce – Commonly raised as Christmas trees, the Colorado blue spruce is one of the more iconic winter and holiday decorations. It is a needy plant though, requiring constant sunlight and watering. Add a hole for proper drainage if you’re growing your blue spruce in a pot. Placing a sponge under the drainage hole helps hold moisture. Thread-Branch Cypress – Its golden-yellow foliage is unique and adds a one-of-a-kind texture to any outdoor environment. These evergreens love sun and should be placed in an open area. There thread-like needles grow nicely in planters and offer nice ground coverage when placed on a landscape. Brown’s Yew – This yew grows at a notoriously slow pace and takes on a round shape. It needs watering twice a week and partial or full light exposure. Winter Gem Boxwood – The winter gem is best used in multiples for a small hedge, but it is also a nice potted addition to you outdoor living area. It takes on a golden-bronze coloring in the winter, and in the spring, it turns back to a light green. Good for partial and full light settings. Wheeler’s Dwarf Japanese Mock Orange - These plants produce small scented orange flowers that add a pleasing fragrance to their environment. When grown in full sunlight, they can grow as tall as three feet in height and five feet in width. They are great for covering large open areas in need of foliage.